It's that time again for the monthly giveaway! 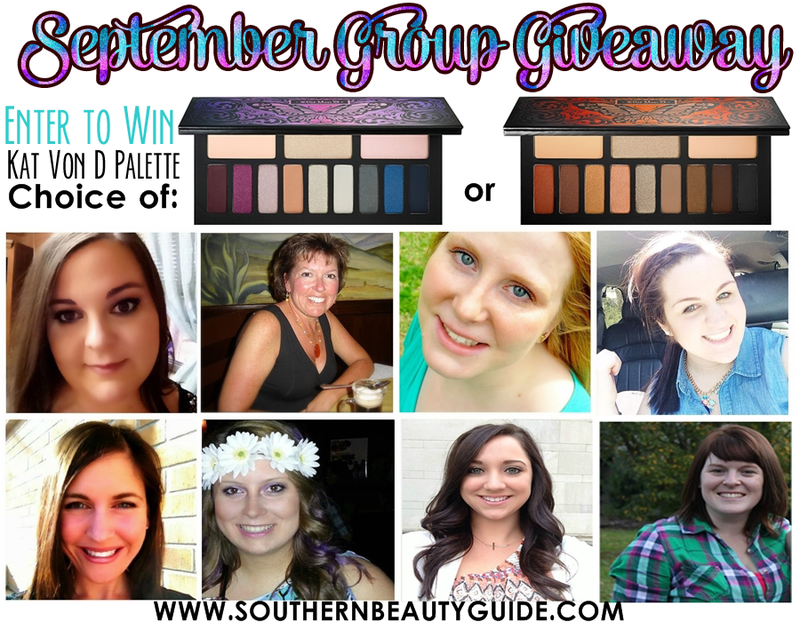 This month 7 lovely ladies have joined me to giveaway one amazing eye shadow palette from Kat Von D. What's the difference? Well basically if you are wanting a warm toned palette then you would love the Monarch palette, but if you love cool tones more then you will love the Chrysalis palette. Both of these are simple amazing and if you don't believe me then just check out this post to see swatches! This is an amazing opportunity to get your hands on one of the most impressive palettes on the market! Make sure you enter below for your chance to win! Good Luck! Don't forget to enter!